'4Th Industrial Revolution' Connecting Smart Home Appliances, Iot. 4K. 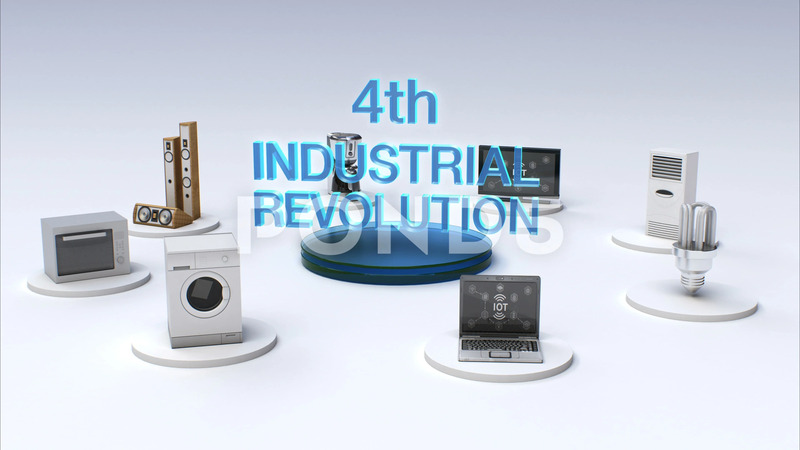 Description: '4th INDUSTRIAL REVOLUTION' connecting monitor, microwave, light bulb, washer, air conditioner, audio, coffee pot, smart Home Appliances, Internet of things. 4k animation.